Channel 7 recently screened a story (April 2015) that presented Australian and New Zealand based research indicating a link between vitamin D levels and the development of Multiple Sclerosis (MS). In ground breaking investigations into MS and vitamin D, the PrevANZ team have concluded that where you grow up is influential in the probability of developing MS. The less sunlight in a region the more likely a person will develop MS.
For example those living in Tasmania are seven times more likely to be diagnosed with MS, compared to people living in Far North Queensland. At present there are more than 23,000 Australians living with MS, three out of every four people diagnosed are women. Worldwide more than 2 million people have been diagnosed with the disease. The clinical trial will test 3 dosage levels of daily oral vitamin D3 supplements (1000, 5000 & 10,000 International Units (IU)) against placebo (dummy tablets) in a total of 240 people. The PrevANZ team cite that “there is insufficient commercial interest in conducting such a study, but the need for evidence is great. If effective, oral Vitamin D supplementation could provide a low cost MS therapy with virtually no side effects”. Consequently the PrevANZ study is a multi stakeholder trial. The trial is coordinated and funded by MS Research Australia and supported from the state MS organisations, particularly, WA, QLD and Tasmania, as well as Foundation 5 Million+, the Trish MS Research Foundation and the John T Reid Trust. Stay tuned – the study’s results are expected in 2017! Vitamin D has a significant impact on our immunity as it makes the immune system more robust – this is what is lacking in MS patients. This research has implications both nationally and globally as it is able to more precisely determine who in the population is more likely to develop MS and supplement accordingly – especially if the best source of vitamin D – sunlight, is lacking. 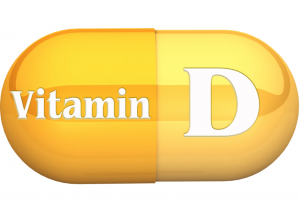 can all impact on vitamin D status. Emed has previously explored the role of vitamin D in modulating auto immune diseases including MS.
Vitamin D has been shown to have an important role on the regulation of immune cells via the vitamin D receptor (VDR). VDRs are present in most cells of the body, but have been found to be concentrated near a number of genes known to be associated with increased susceptibility to autoimmune disease such as MS, and in a number of cells of the immune system including circulating monocytes, dendritic cells and activated T-helper cells. Vitamin D alone has been shown to produce powerful antimicrobial peptides such as cathelicidin and β defensin 2 to improve immune defense to infections. The role of vitamin D in autoimmune disease involves its binding with various VDRs to cause gene transcription that inhibits immune cells from expressing a T-helper 1 dominant profile and promotes a T-helper 2 cellular profile. Active vitamin D also helps promote the growth and differentiation of immature T-helper cells to regulatory T- cells associated with anti-inflammatory cytokines (immune cells) such as Interleukin-10 and transforming growth factor-beta. A study by Oxford University actually showed that vitamin D had a significant effect on the activity certain genes, including IRF8, that has been previously associated with autoimmune diseases such as Multiple Sclerosis, and PTPN2, which has been associated with Crohn’s Disease and type 1 Diabetes. If vitamin D is deficient than the likelihood of developing autoimmune disease seems to be increased.